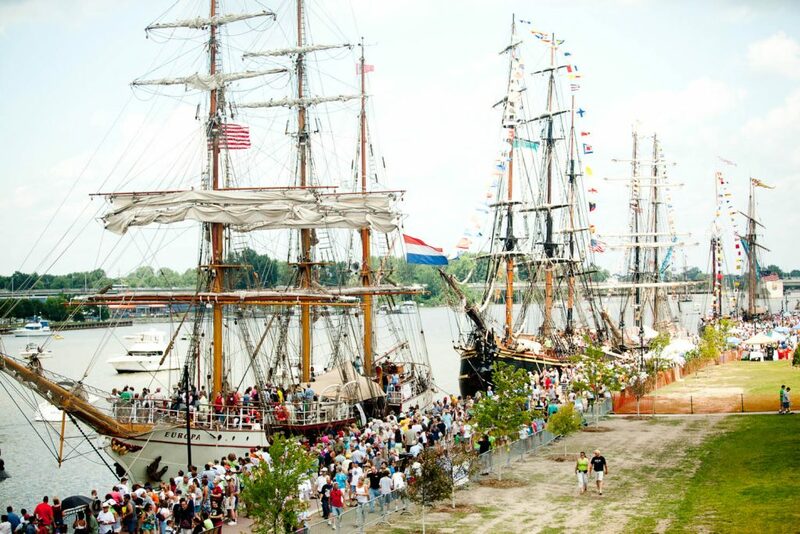 Tall ships are coming again to Bay City this year! There will be number of magnificent sailing vessels from all over the world to see, and few to even sail on. This will be a four day festival. Expect crowds though. The organizers expect over 100,000 visitors. The festival will take place from July 18 – 21, 2019. The ships will be docked along both sides of Saginaw River between Veteran’s Memorial Bridge and Liberty Bridge. There will be maritime musicians bringing music to two local parks in Bay City: Veteran’s Memorial Park and Wenonah Park. 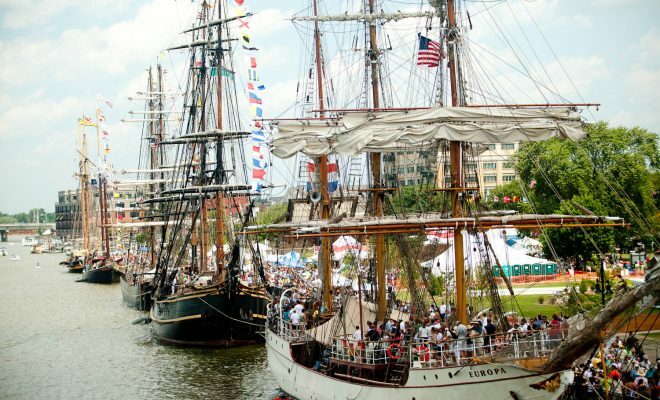 The exciting moment of ships coming into the city will happen on Thursday, July 18, 2019, from noon till 5 p.m. Spectators will not be allowed to board any of the ships at that time, but just watching them sailing and docking will be an experience not to miss. During the weekend the festival will be open from 9 a.m. till 5 p.m., from Friday, July 19 through Sunday, July 21. At this time, the ships will be available for boarding and touring. 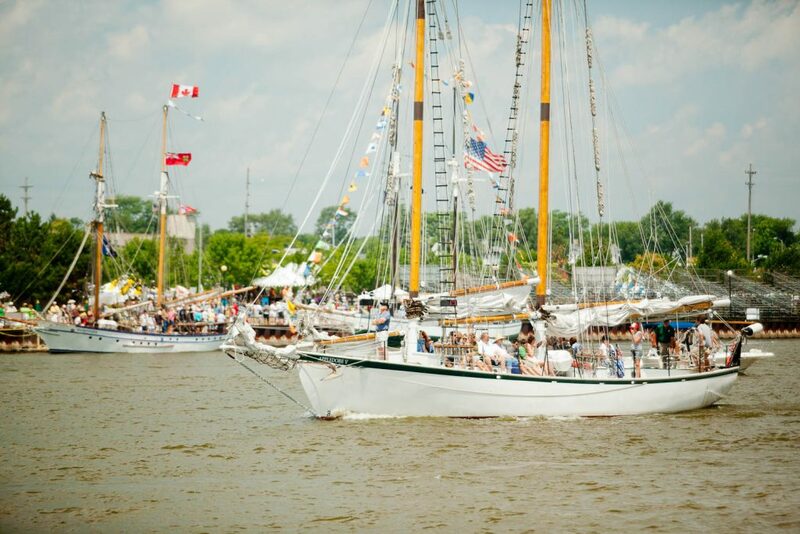 There are two local, Bay City, tall ships participating: Appeldore IV and Appledore V. Also, the following ships from all over the world: Bluenose II – a schooner from Nova Scotia, s/v Denis Sullivan from Milwaukee, WI, Madeline – a schooner from Traverse City, MI, U.S. Brig Niagara from Erie, PA, Perception – a schooner from Traverse City, MI, Picton Castle – a barque from Cook Islands, Pride of Baltimore II – a schooner from Baltimore, MD, NAO Santa Maria – a square rigger from Spain, and St. Lawrence II – a brigantine from Kingston, ONT. Tall Ship festival in 2010, in Bay City. If you are coming from a distance and want to stay overnight, there is number of accommodations available in the area. The hotels that are close to the river are: DoubleTree by Hilton Hotel Bay City – Riverfront and Comfort Inn Bay City – Riverfront. There are many other Bay City hotels a little further, but still relatively close to the river. Nearly all hotels in the Great Lakes Bay are within a 30-minute drive from the festival. There is also number of nearby campgrounds in the Great Lakes Bay, if you prefer camping. The closest ones are: Bay City State Park and Finn Road Park. You also might consider local B&Bs. One, close to the river is the Historic Webster House Bed and Breakfast. There are so many restaurants in the area that it doesn’t many any sense to list them. You have choice of cafes, delis, bars and restaurants offering American, Italian, Irish, Mexican cuisine and more. 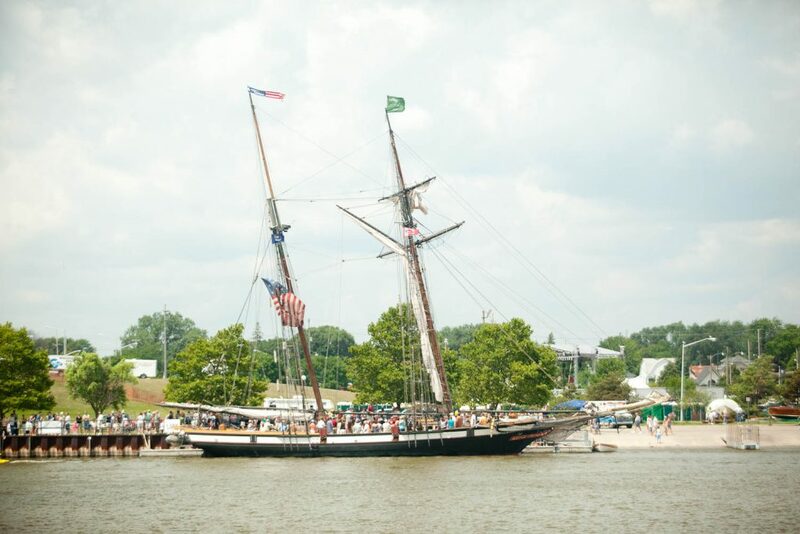 One of the sailing ships participating in 2010 celebration. 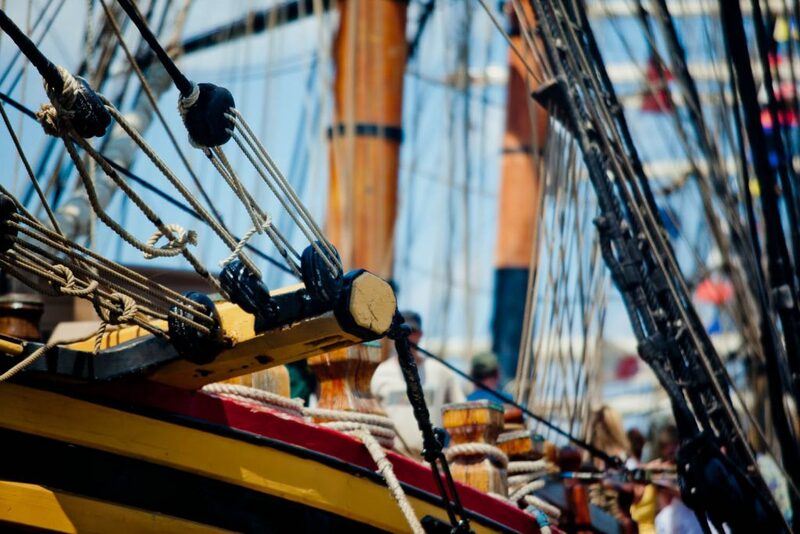 The schedule of daily events is available on the Tall Ship Celebration website. Tall Ship festival in Bay City in 2010. Tickets for the festival can be purchased in advance. And if purchased before June 30, the daily admission is $ 8.00 (+fees). After July 1, it is $10 (+fees). It appears that the fees and taxes are $ 2.07 per ticket. 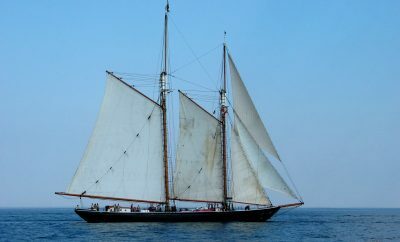 You can also sail on tall ships – Appledore IV and Appledore V, during the festival. There are four three-hour sails during the day. The price for the sail is $ 65. 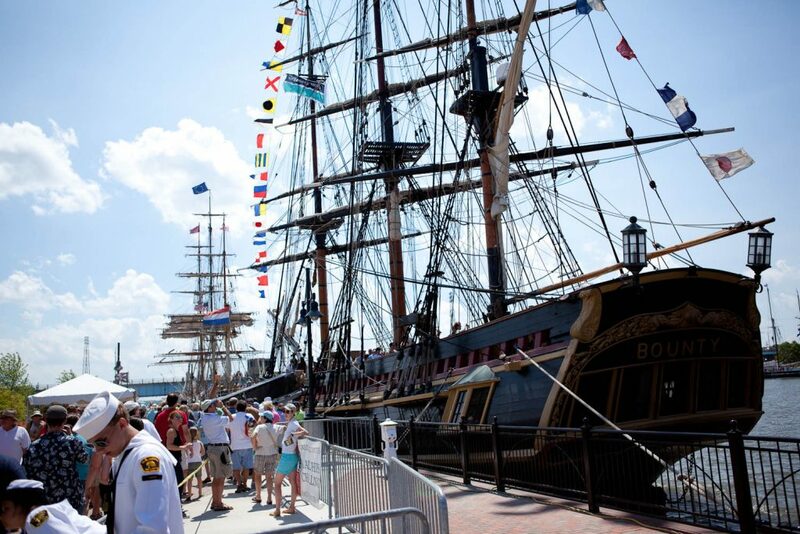 You can also sail the Parade of Sails on Thursday at 12:30. The ticket price for the parade is $ 100. Tickets for any of the sails can be purchased here. Appledore V. Picture taken during Tall Ship festival in Bay City in 2010. More information can be found on the Tall Ship Celebration website. Also, information about accommodations, restaurants and other services can be found on GoGreat website. 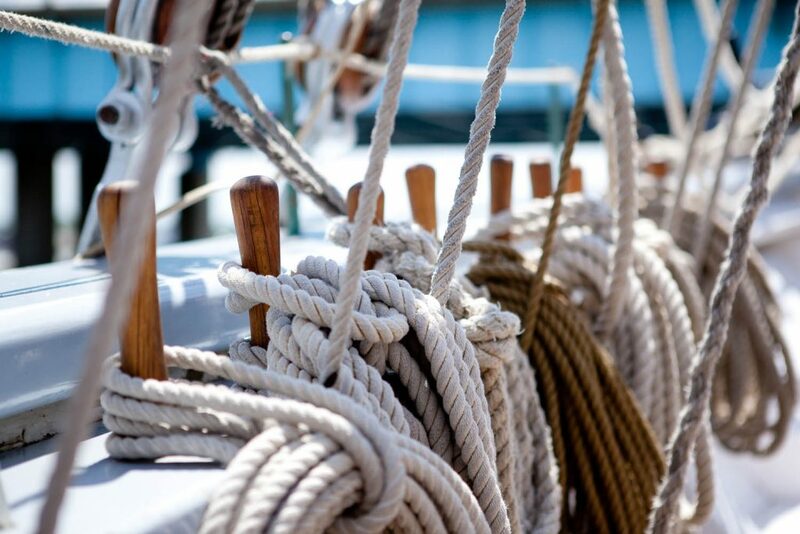 If you the above information got you thinking about tall ships, check out my post about tall ship cruises around Great Lakes here: Tall Ship Cruises – Great Lakes.